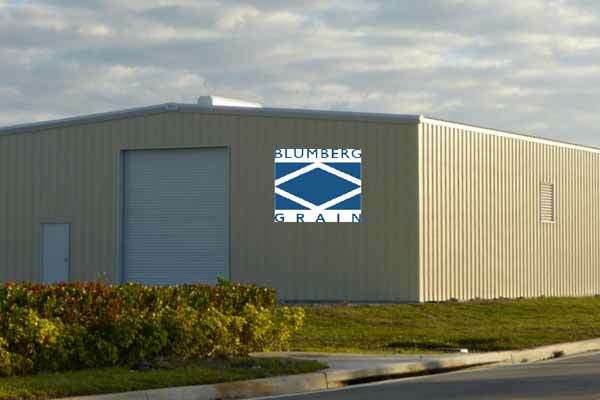 Blumberg Grain is looking to sign a deal within the coming weeks with Algeria's state grain agency OAIC to build high-tech wheat silos that can store up to 1 million tonnes of the grain. "We are looking to sign something within the next few weeks, before the start of Ramadan," David Blumberg, CEO of Blumberg Grain Middle East and North Africa, told Reuters on the sidelines of the Global Grain conference in Dubai. The new storage facilities would help to lower post-harvest losses, that waste around 20 per cent of Algeria's local wheat. Blumberg Grain has finished building silos to store over 770,000 tonnes of wheat in neighbouring Egypt and is awaiting the award of a second phase of that project which will allow it to handle that country's entire crop by 2018. "The design in Algeria will be different from the ones in Egypt as in Egypt they don't have the capability to transport wheat in bulk," Blumberg said. "We are still working through the details of the project in terms of actual contracting negotations but we have come up with a joint proposal on the subject to establish 200 units across the country to store 1 million metric tonnes," he said.